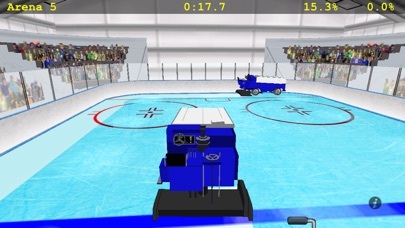 Ever wish you could drive the Zamboni® ice resurfacer? Drive carefully to clean the ice as efficiently as possible. Get as close to the boards as you can without hitting them. Don't leave patches of scratched ice or create puddles by driving over the same areas too many times. Start out on an early morning practice rink and work your way up through 5 arenas of increasing difficulty. 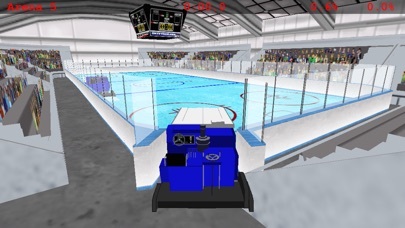 The final challenge is cleaning the ice between periods of a professional hockey game with another Zamboni machine running in tandem. Posts best times and achievements to the Apple Game Center. Optionally shares your accomplishments with Facebook, Twitter, Weibo, email, or instant messaging. Send Zamboni Stickers to friends via email, text message, or social media. Optional hourly reminder feature for Apple Watch (watchOS 5+). Universal App - supports iPhone, iPod Touch, and iPad, including standard, Retina, iPhone X and XS displays. ZAMBONI has been registered by Frank J. Zamboni & Co., Inc. as a trademark around the world. Used by license. 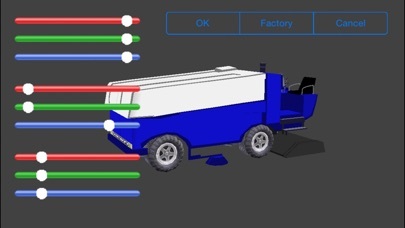 Zamboni Challenge was recently adapted for iPhone 5 and social networking in iOS 6. ©2012 Magnin & Associates. ZAMBONI has been registered by Frank J. Zamboni & Co., Inc. as a trademark around the world. Used by license.